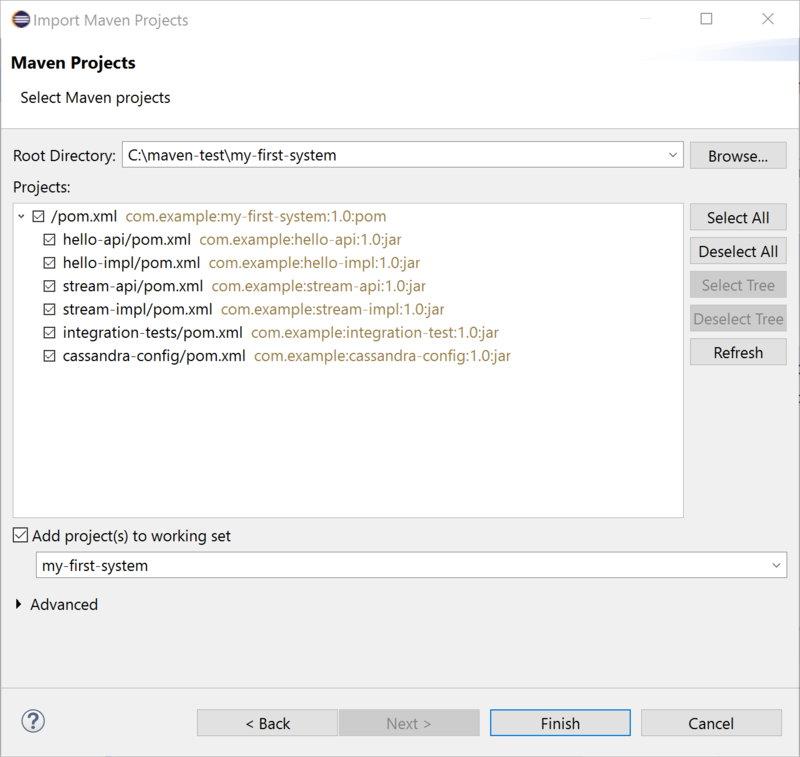 Expand Maven and select Existing Maven Projects. 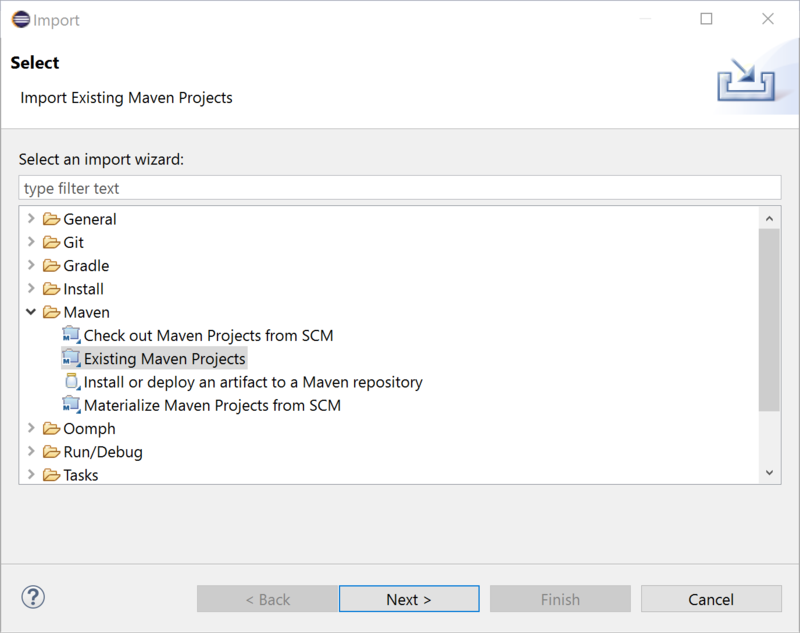 For Root Directory, click Browse and select the top-level project folder. Verify that the Projects list includes all subprojects and click Finish.